The other day, I was quite temperamental inside BPI because I was trying to immediately pay for the bag I won on eBay. 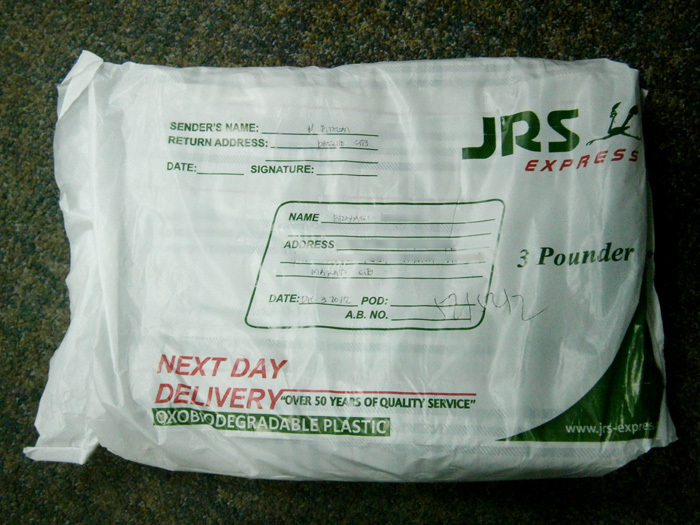 Then yesterday, I was handed out a JRS Express 3 Pounder parcel and I was very excited to open it. My bag has finally arrived!